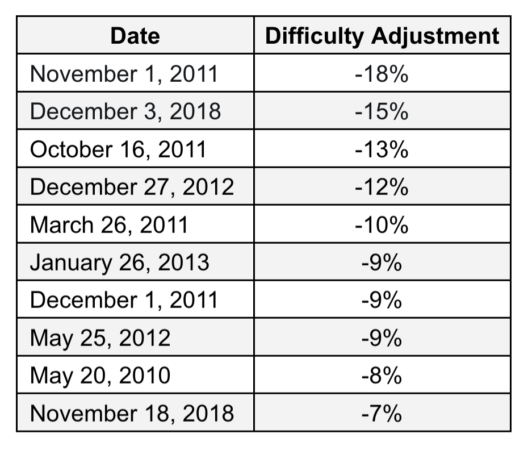 Bitcoin's mining difficulty dropped by 15% on Monday marking the second largest drop in Bitcoin's history and the largest drop in the ASIC era (which started in early 2013). The largest drop in history was recorded in November 2011 when difficulty decreased by 18%. However, in the grand scheme of things, the current difficulty is still around the same as in July, just a little over four months ago. As can be seen from the graph below, the mining difficulty follows hash rate very closely. If hash rate continues decreasing, the difficulty will simply continue to adjust as well.